Diseases ruin the splendor of your trees and shrubs, but Lawn Doctor implements a variety of programs to keep Denver’s plants safe from disease. We use top of line prevention treatments that reinforce the health of trees and shrubs to stop the likelihood of infection. If trees have already started showing symptoms of a disease, one of our technicians will diagnose the problem and initiate a plan for recovery. With Lawn Doctor’s customer satisfaction guarantee, you can breathe easy knowing you’re receiving quality tree services in Denver. At Lawn Doctor, we love the beautiful trees and shrubs of Denver, which is why we’ve created a series of treatments to protect them against disease. Our tree and shrub programs offer extensive coverage throughout the year. Around late winter or early spring, we’ll spray your trees and shrubs with our advanced pesticide-free oil to ward against pests and prevent insects from hatching. Next, we visit again in the summer to ensure plants have remained free of disease, and spray for another level of protection. 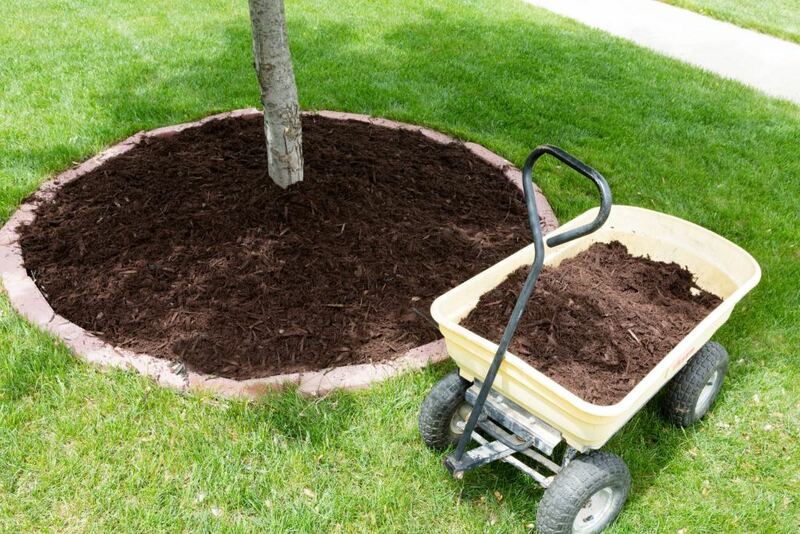 In the fall, our specialists come again and give your Denver property nutrient soil injections to enrich trees and shrubs. The Denver area has been infested with the Emerald Ash Borer. This Asian beetle was first found in Boulder in 2013 and has since killed millions of trees in the area and endangered countless other. Experts have predicted that every ash tree infected in Denver will be dead within a few years, but you don’t need to lose hope for those on your property. Lawn Doctor has developed a ground-breaking program against these invaders, where we use annual soil injections to bolster the strength of trees and follow with two protective sprays each year. Our techniques have let us save ash trees that were up to 40 percent damaged. We believe in the well-being of your trees and shrubs in Denver. We’ve been providing Denver with quality tree services to keep landscapes lush and vibrant. Lawn Doctor promises client satisfaction in everything we do, and matches competitor pricing. If your tree and shrubs aren’t thriving as you expected, our Denver technicians will apply free re-treatments to make sure you’re getting the most out of our program. Be sure to give Denver’s Lawn Doctor a call for all your tree care and disease treatment needs. We believe that every residential and commercial property should have the best care available to them, which is why we provide year-round service to the Denver area. We have made it our mission to provide premium landscape services throughout Colorado. No job is too big or too small. If you are looking for naturally-based disease treatments for your trees and shrubs, talk to us today!